In a field of bluebonnets, one lone wildflower stood out - this white bluebonnet (or maybe a whitebonnet?). 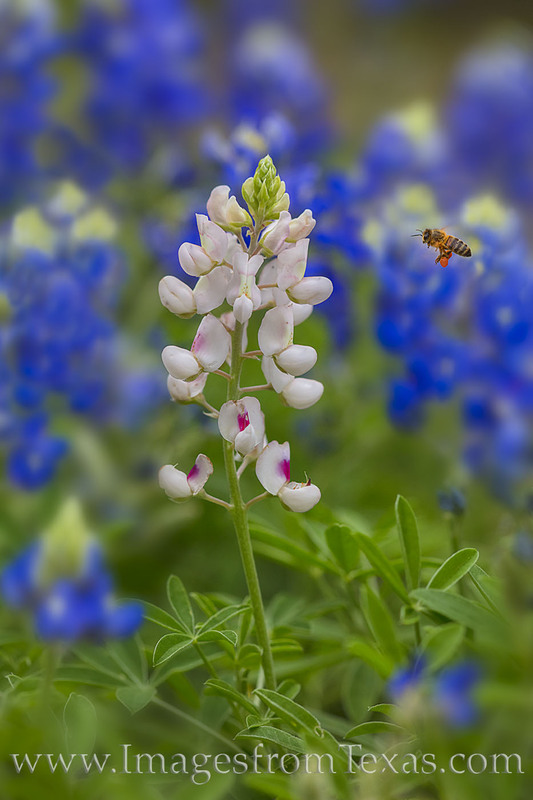 As bees buzzed all around this field, it took 23 shots to capture this image of the bee in flight as it surveyed the unique colors of this single flower in the Texas Hill Country. Photo © copyright by Rob Greebon.